Something went wrong with the Locost. A couple of weeks ago, on our popular 90-mile drive from the San Francisco Bay Area to California's state capitol, the car somehow picked up a rough idle. We only noticed it after we got off the freeway, but the engine was missing intermittently and threatening to die at stoplights. Only at idle, though. 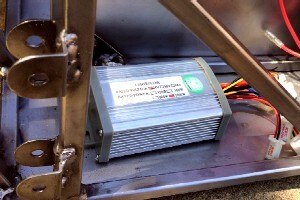 Hit the gas and all cylinders would fire immediately, simulating full power. On the freeway, the car ran fine. No hesitation. Lift the gas, though, and you could hear the engine burbling roughly, like it wasn't firing at all. 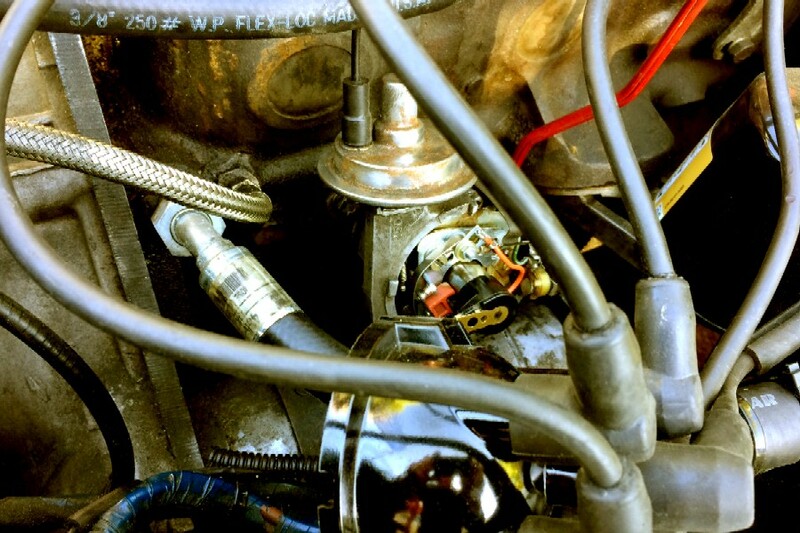 When anything like this happens you want to know right away if it's the ignition system or the carburetors. Or at least we do. Generally speaking, it's the ignition. The venerable S.U. carburetor is almost flawless, and when they go bad it usually takes a long time, weeks or months, not a two-hour trip to Sacramento. So we eliminated the carburetors as the cause of the problem and replaced everything in the ignition system—points, cap, rotor, condenser, plugs—and of course the problem didn't go away. Which made it marginally less likely that the problem was in the ignition system. Reluctantly, we decided to check the carburetor floats. Float levels are about the only thing that ever goes wrong with S.U. 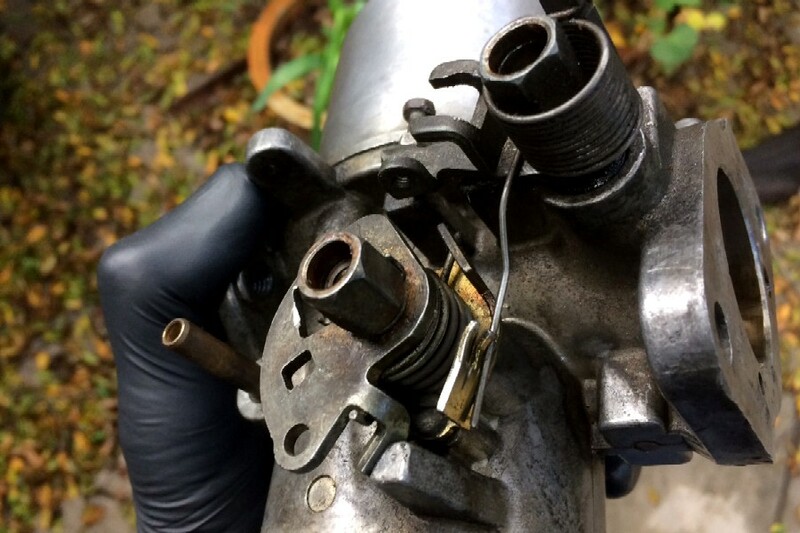 carburetors, and since adjusting them involves bending a thin metal tab with your fingers, it's easy to see why. Checking the floats used to be a simple process back in S.U. 's halcyon days, when you didn't have to unbolt the carburetors from the car, but sometime in the late 60's the engineers at S.U. figured out a way to make this impossible. 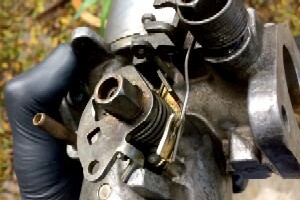 And removing the carburetors involves a lot of tedious fiddling with springs and cotter pins and fuel lines, any or all of which are easy to lose in the process. Float levels were a bit off, though probably not enough to make a difference, which proved to be the case. The car still idled badly, and ran exactly like a car with the choke full on, definitely rich. The spark plugs were black, the exhaust smelled of petrol, and the fuel mileage was terrible. But we kept driving the car anyway, partly in the hopes that the problem would go away, and mostly because the car still ran and the weather was perfect. In the meantime we continued to investigate the problem, and it was during this investigation that we learned something new about later-model S.U. 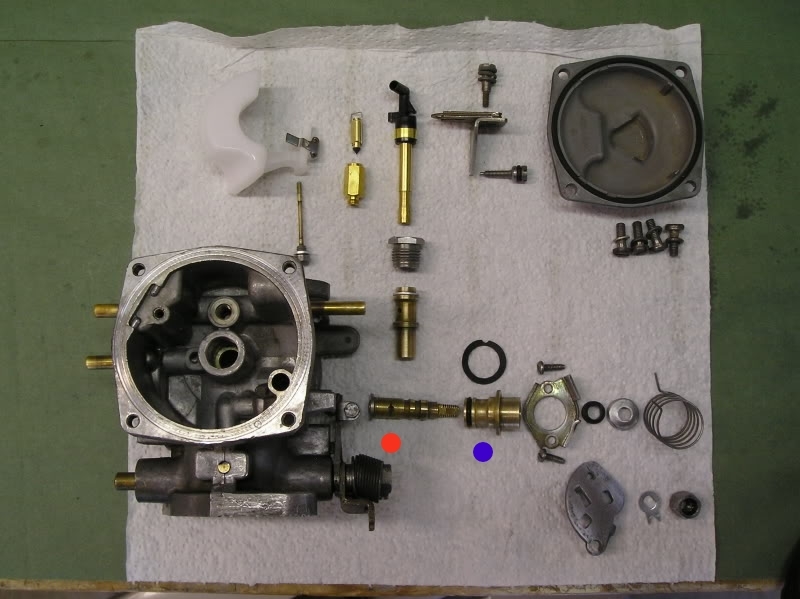 carburetors. Real S.U.s, like the kind that came with our 1960 MGA and early MGB, had a very simple choke mechanism. Pulling the choke cable incrementally lowered the main jet, opening up the tapered fuel passage slightly without introducing any more air through the variable venturi. Instant rich mixture, perfectly measured. Unfortunately the simple design of the S.U.s didn't sit well with the the U.S. Environmental Protection Agency, who forced S.U. engineers to come up with a more complicated and less accurate way of delivering a rich mixture during start-up. The EPA wanted the carburetors to be more temperature-sensitive, so S.U. 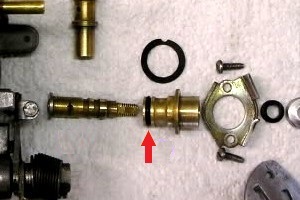 engineers complied by attaching a giant bi-metal spring to the main jet, with the idea that the spring would raise or lower the jet automatically as the temperature inside the carburetor body changed. This in theory would reduce the amount of unburnt hydrocarbons spewed out of the engine on hot days, however, as you might imagine, the bi-metal spring turned out to have little real-world effect in a fuel-cooled carburetor body, other than to add another exciting point of failure. With the bi-metal spring now controlling the height of the jet, S.U. 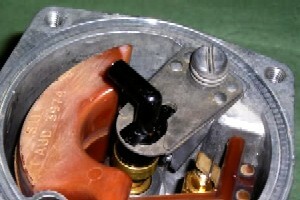 engineers had to abandon their original simple choke design and come up with a new way to enrich the mixture during start-up. What they did was insert a tiny barrel valve between the float bowl and venturi. 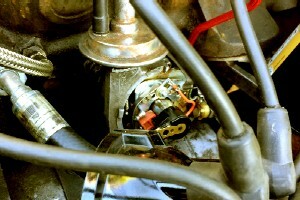 Pulling the choke cable opened the valve, allowing a trickle of fuel into the venturi. 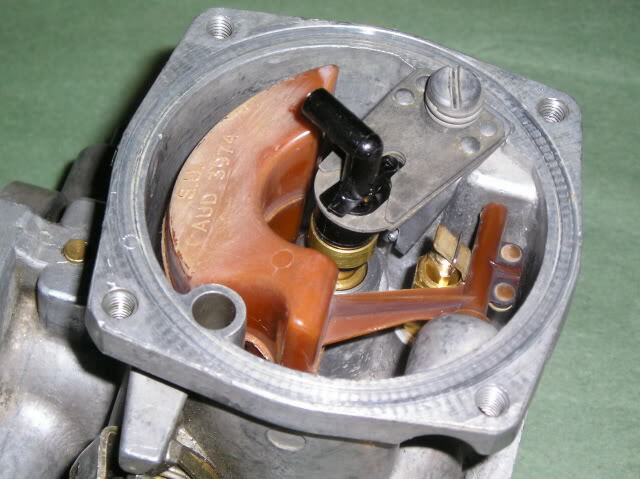 To keep fuel from seeping past the valve directly into the venturi, which would be exactly like running with the choke full on, the outer valve barrel had to be sealed off from the float bowl. The engineers used a single tiny O-ring for this. When we rebuilt our crud-infested S.U. carburetors five years ago, in an ultimately successful attempt to get our MGB donor to run more than a few seconds without dying, we didn't touch the chokes. We didn't know anything about them, except that they were frozen solid. Copius quantities of WD-40 and brute force fixed the problem, and for five years they performed flawlessly, starting the car even on those freezing cold days when we shouldn't have been driving in the first place. All that time we were blissfully unaware of what was happening to those tiny O-rings. Or even that we had tiny O-rings. Now we know. After replacing the O-rings last week, and doing exactly nothing else to the carbs, the Locost has been running beautifully. Probably better than ever. Over the years we've had the spark plugs out several times, and we'd never seen anything but black electrodes, so we knew the carbs were a little out of tune. Occasionally we'd lean out the mixture screws half a turn or so, but that never seemed to make a difference. The 40-year-old O-rings were probably never what you'd call fresh, and the fact that they kept the choke valves marginally sealed for as long as they did has to be a testament to something. We of course expect the new O-rings to last every bit as long as the old ones did, but probably not. With the Bay Area Maker Faire only days away, both the big Locost and its little brother should be just about ready to go. Unfortunately we can't quite make that claim, but in a pinch we'll show up with whatever we've gotten done at the time. 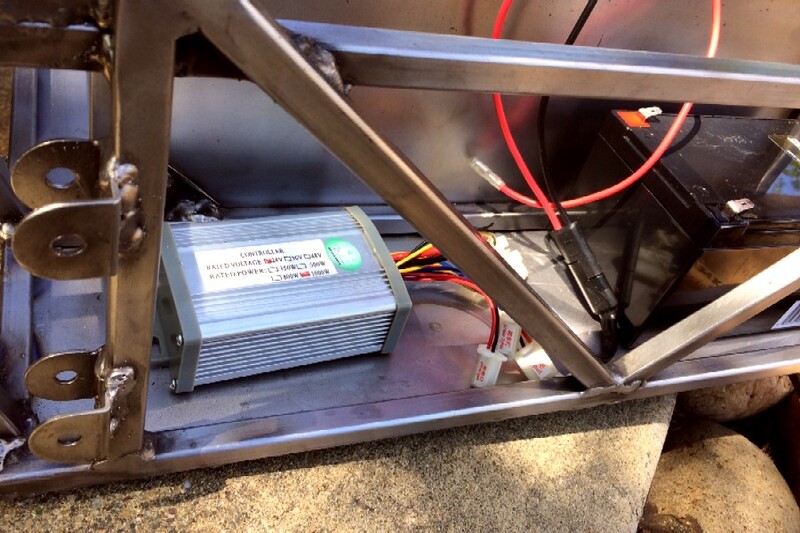 We did manage to acquire all of the electrical components we needed, and even though we don't know what all of them do, most appear to be working, although other than the motor few are actually attached to the car, and by 'few' of course we mean none. Things like batteries and controllers don't fit quite as well as we'd hoped, at least not at the same time. We'll figure something out. So far we've only bench tested the motor, but it easily spins the rear tires with what looks like enough torque to actually propel the car. And in the proper direction, a total bonus. We've also pushed the rolling chassis in and out of the garage without anything falling off, and it changes direction with steering inputs just like you'd expect. We haven't gotten it going fast enough yet to slide the back end out in a turn, but we live on a hill so anything's possible. Although obviously we're not going to push the car down the hill until we have a way to get it back up.